Whoever took this picture needs a cookie. It was either Samuel or my oldest nephew. I'ma just come right out and say it - I am the most unlikely candidate for gardening. Spiders and their ghoulish webs freak me out. Bees give me the creeps, but I respect their hustle. I finds ants annoying, and worms, beetles, and other creepy crawlies make me shudder. But here I am in 2017, gardening. 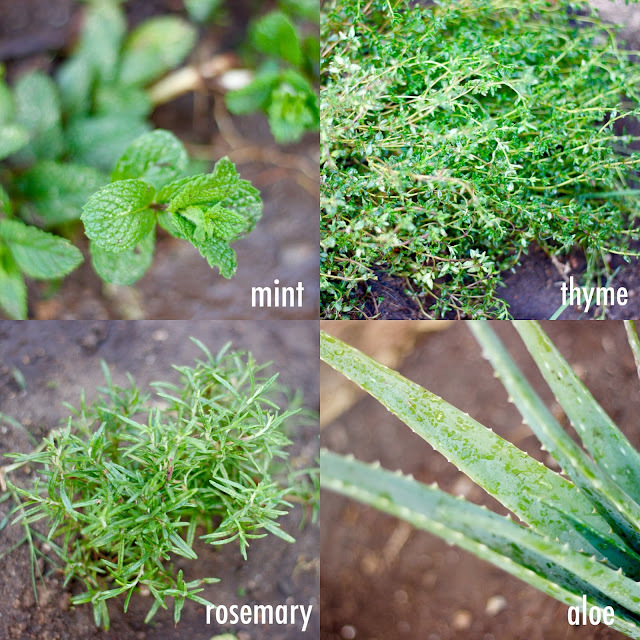 It started out with me just thinking it would be cool to have some herbs at-the-ready as I cooked. The first time I made chicken with the rosemary and sage I planted, I was hooked. I fell in love with the idea of not having to buy every single thing at the store, and the idea of literally cultivating things in my own backyard. A snippet of my garden goodies! I started out with the collard greens and lemons that were already growing here. Then, I planted mint, sage, oregano, rosemary, and thyme. In the next flowerbed, I put down lavender, aloe, scotch bonnet, and red bell peppers. And in the last flowerbed, garlic and red onions. I'm not done - eventually I'd like to plant kale, broccoli, spinach, basil, and maybe even cabbage. I'm clearly holding myself back from going 0 to 100 with gardening, because there's so much about it for me to learn. I'm impatient, and a full steam ahead kind of gal, so I'm trying to learn to pace myself - especially with things that are only so far within or totally beyond my control. 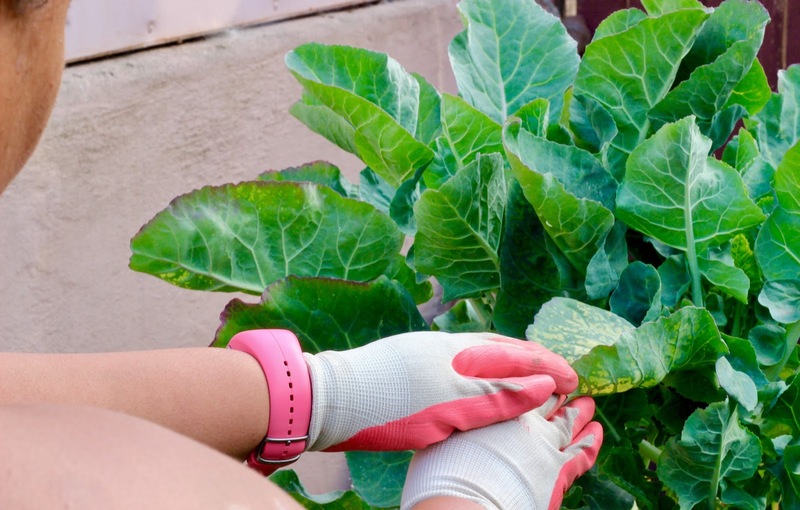 And even though it seems like my home-based horticulture is poppin', I'm far from a gardening expert - and I definitely don't have it all figured out. The collards! I can't take credit for 'em though. Picture credit belongs to Samuel or my neph. When I first planted everything, I was in the backyard almost daily checking on my green babies - making sure no harm befell them (but also trying to get them to hurry up and grow lol). Eventually, I got annoyed with what seemed like slow or no growth, and I got a little neglectful. Weeks would pass without me getting down in the flowerbeds to clear out grass, and closely inspect their growth. After spending some semi-quiet time in the back yard (because Samuel was raking leaves in the front yard, Bailey thinks the rake is a toy, and my oldest nephew was visiting), I came away with a hearty number of revelations and reminders that apply in gardening and everyday life. So much good stuff going on here. 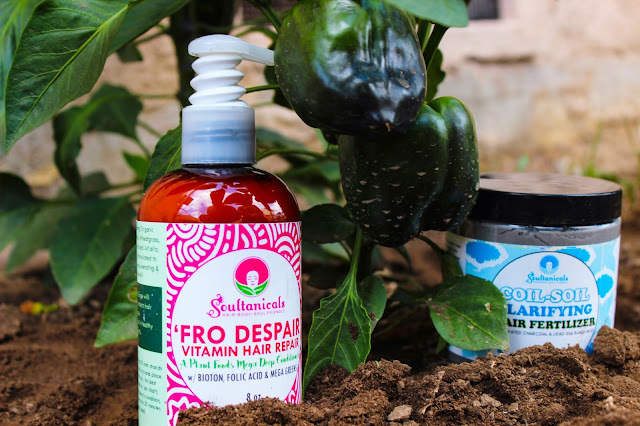 Working with Soultanicals Coil Soil Clarifying Hair Fertilizer and 'Fro Despair Vitamin Hair Repair definitely inspired me to seek self-care in the garden. They both work their magic at the roots (ha) - so let's dive in. Coil-Soil is quite possibly Soultanicals' most potent hair and scalp detox treatment. The top 3 ingredients are activated charcoal, dead sea mud, and bentonite clay. It's the trifecta treatment for those of us who suffer with itchy/dry scalp, dandruff, eczema, psoriasis, and sebhorreic dermatitis. The trio of powerhouse ingredients lift dandruff and flakes while soothing irritation and drawing out impurities from the scalp and hair. See all that definition? From Coil Soil! Yassss! I wet my hair down with warm water to remove as much product buildup as I could. I then went through my hair, finger parting and massaging Coil-Soil into my scalp. After my scalp was completely covered, I ran my fingers through from root to ends to allow the excess to work along the length of my hair. The heaviest concentration of product remained on my scalp. I clipped my hair up and into a plastic cap, and then used my Hot Head Thermal Cap for 30 minutes. 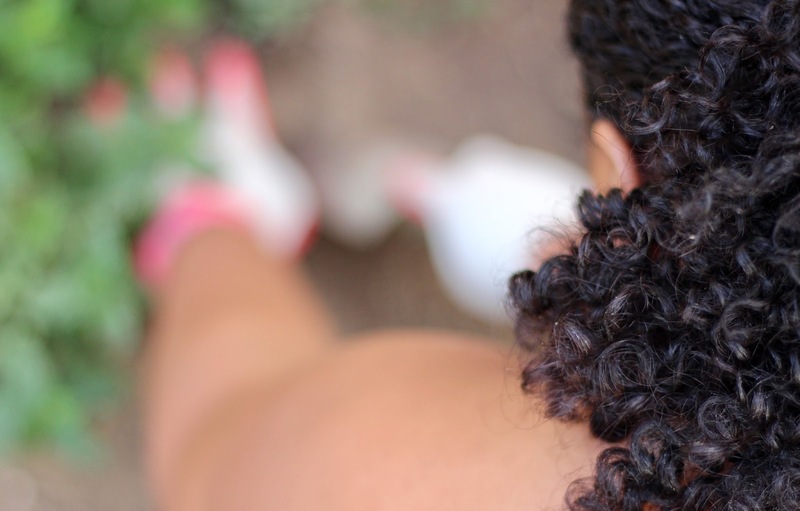 Coil-Soil helps relieve itching and flaking, while removing toxins and debris from the hair and scalp. Although it's incredibly potent, it's also very moisturizing thanks to olive oil, aloe vera, and sweet almond. It has good slip, and makes it very easy to work through tangles. If your hair has been feeling a little limp, like its lost some 'oomph' - this treatment is exactly what you need. 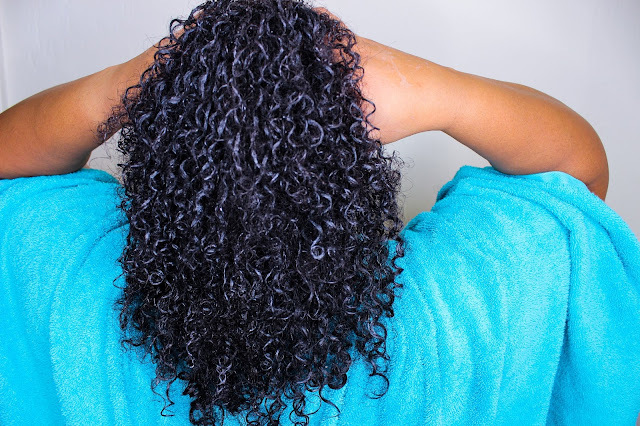 My curls were super soft, springy, and defined after rinsing. 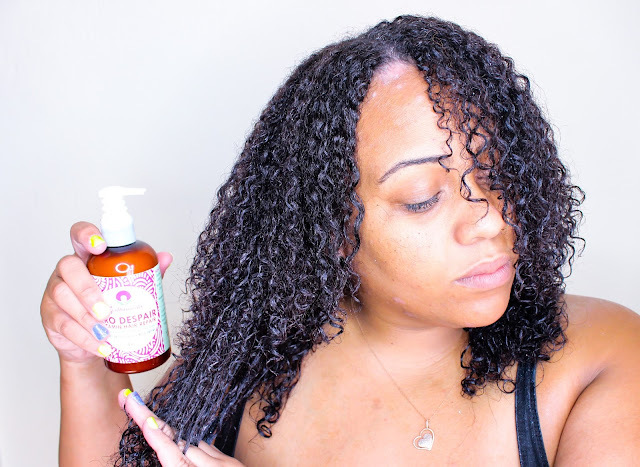 Honestly, the deep conditioner that might oust Afrotastic Curl Elastic as my favorite. But to be more specific, think of it as a green juice for your hair and scalp. It's loaded with botanicals and vitamins - biotin, spirulina, wheatgrass, barley grass, oat grass, chlorella, alfalfa, MSM, and so much more. This deep conditioner is best for hair that is damaged, distressed, color treated, weak and brittle, or just in need of a strengthening boost. So much slip. SO much good stuff. Quite possibly my new favorite DC from Soultanicals. After cleansing with Coil-Soil, I applied a generous amount of 'Fro Despair throughout my hair in sections, working it from root to ends. I clipped my hair up and into a plastic cap, and then used my Hot Head Thermal Cap for 30 minutes. Loaded with as much slip as it has greens, 'Fro Despair is literally Amazing Grass in deep conditioner form. It nourishes hair at the root, strengthening follicles and promoting growth thanks to horsetail, rosemary, sage, and biotin. Wheatgrass, barely grass, chlorella, and alfalfa work in tandem to help slow and reverse signs of aging and damage while promoting healthy hair growth - and brown rice protein along with Pro Vitamin B5 and cetrimonium chloride help strengthen the hair and prevent breakage. Day 5 was a much-needed day to not only focus on my roots and hair growth, but to slow down and take in a few lessons on self-care from the garden. A lot of quotes and concepts I've previously read about make more sense now - and I even got new clarity on a familiar passage of scripture. My bells! One of them has started turning red since the taking of this photo - by Samuel or my neph lol. Pruning is not a one-time activity. It's a consistent, proactive measure that must be taken to yield the best results. 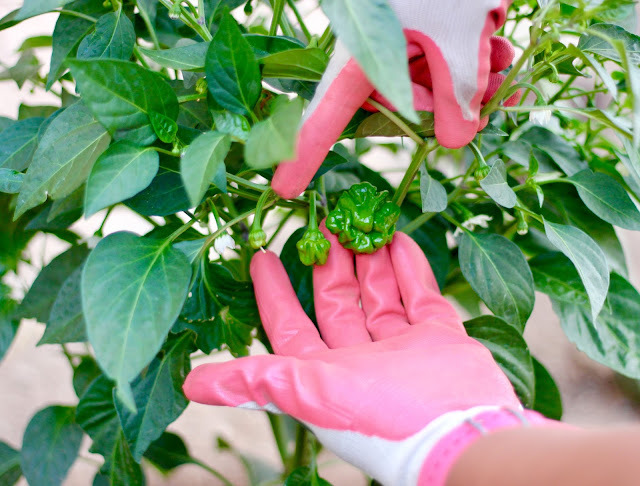 Without pruning - in gardening and in life - those activities/things/people (or vegetables) that are not the best or do not have the potential to be the best are just siphoning off resources and hamstringing those that do. I had to cut a hefty bit of my oregano back, and one of my bell peppers for this reason. Pruning is a heavy topic, and I'll tackle it in an upcoming blog post. I never realized gardening is as nuanced as it is. I thought it was as simple as digging some dirt, throwing some seeds or shoots down, and watering. With that method, sure, something is bound to grow. But how much? Gardening, like relationships and even talents, must be nurtured, fed, and attended to in order to reach their maximum potential. SO many scotch bonnets now. I might start selling them on IG lol! Picture credit: Samuel or my neph. I have Galatians 6:9 committed to memory, because it helped me through a really difficult personal time. "And let us not be weary in well doing: for in due season, we shall reap if we faint not." I was reminded of this while gardening. Keep on pressing, Christina. Clearly, I learned a lot. Oh, and I like ladybugs. 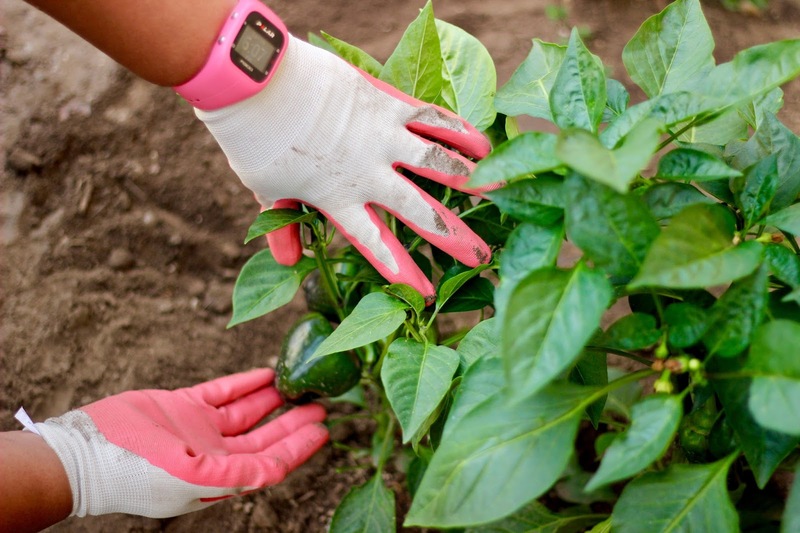 Am I the only one who learns life lessons in the garden? Let's chat in the comments below!